If there is one thing that Florida has proven time and time again, it’s the fact that the state is resilient. Even after Hurricane Irma, Florida’s real estate market has shown its strength. No matter what kinds of troubles Florida faces, its residents prevail. Why is Florida such an excellent market for real estate? Several factors make working in this state a fantastic opportunity. Some cite Florida’s building codes and construction as among the best in the world, perfectly capable of standing up to the storms the state endures. In fact, many of the regulations were updated specifically in response to a category five hurricane that hit Florida in 1992. Floridians have so many reasons to feel safe in their homes. Buyers in Florida tend to understand the volatility of Florida’s weather. This means that you may need to appeal to the buyer’s sense of security. Hurricane-safety features are attractive features to sell. Your job as a real estate agent is to demonstrate why the home is a good buy no matter the weather. For those who want to live a particular lifestyle, Florida has a lot to offer. In fact, Florida caters to a variety of lifestyles. While many Floridians choose Coral Gables for single-family homes, others select Miami Beach as the best place to rent an apartment. No matter your preferred housing style, Florida has it. Selling a lifestyle is part of working as a real estate agent. What kind of life can your client look forward to having upon closing on a brand new house? Establishing a connection between the buyer and the house is the key. 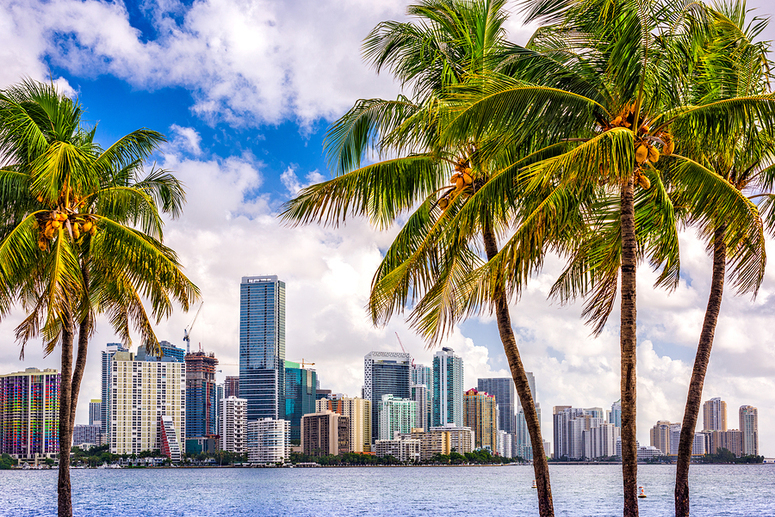 Rent can be high, especially in cities like Miami. Many renters discover over time that buying a home is the better situation. Townhomes, condos, and single-family houses are all in demand throughout Florida, and buyers find that purchasing a home is still often a better idea than renting. You can emphasize the value in owning a home rather than renting when you work with clients who are still unsure about taking the plunge. Sharing the great reasons to buy a home in Florida helps you establish authority with potential buyers. Even Hurricane Irma could not tear down Florida’s upward trending median home price. Certain counties, like Broward, are actually significantly higher this year than last year. Broward County boasts a 10 percent increase in price whereas Palm Beach County boasts 4 percent. The values of single-family homes have also been on the rise. For example, prices for single-family homes in Miami-Dade have risen consistently over the last 70 months. Florida is calling. Are your buyers ready to listen? What Should Florida Real Estate Agents Do? As a real estate agent in Florida, you can keep up with the changing market by taking courses related to the needs and desires of Florida buyers and sellers. Contact us for more information about real estate courses that help you stand out. Should You Join a Real Estate Professional Association? How Do I Renew My Washington Real Estate License?